This is the mousse weekend! While searching for chocolate chips to make the chocolate mousse yesterday, I found a bag of white chocolate chips. My husband is not big on rich chocolate desserts. His favorite ice-cream is vanilla and his favorite cake is lemon cake. I opened Nigella Express and saw that I had made a bookmark to this recipe. It came out b e a u t i f u l ! Fluffy, light, and very refreshing! I did use the white part of one egg which made me nervous but I checked the eggshell to be sure it was in good shape (no hints of cracks), washed it carefully, and made sure that the egg white would not touch the shell when I cracked it. On the down side, I didn’t have any fresh mint leaves to use for serving . They look pretty good against the white. Take a look. 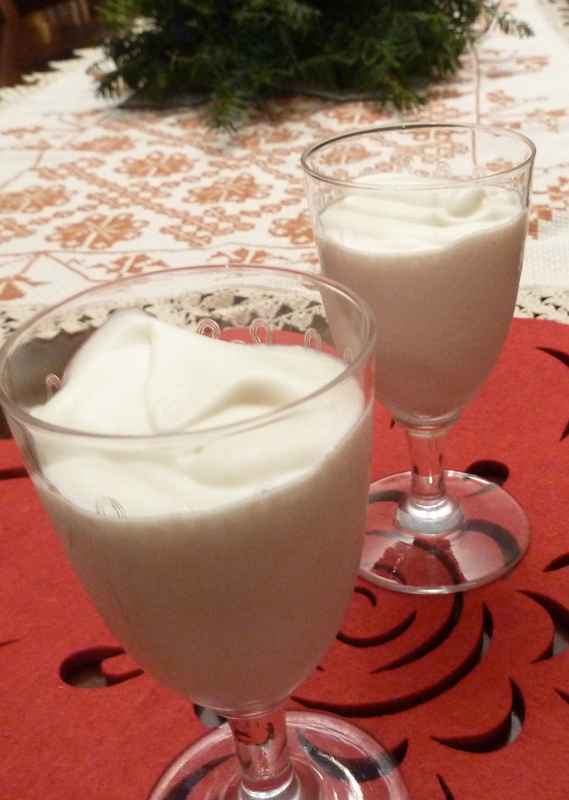 How to make: Melt the white chocolate in bain marie or in the microwave. Let the chocolate cool for a few minutes. Use a mixer to beat the heavy cream with the egg white and the extract. Stop when you get a soft, fluffy consistency. Take a big spoonful and fold it in the chocolate. Then, gently, fold in the rest of the whipped cream. Pour into small containers and refrigerate. Serve with fresh mint leaves. Notes and tips: I use the microwave to melt chocolate all the time. I start with one minute usually. Then I give it a stir to prevent potential burning due to the uneven heat and put it back for another minute or less. If you are new to this, start with 30 seconds, stir, back to the microwave, another 30 seconds, etc, just to be sure you won’t burn the chocolate. If you can control the power of your microwave make sure you set it to 50%. There are some known issues with melting white chocolate, mind you. 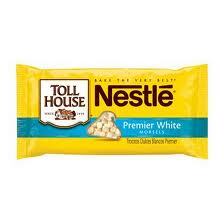 Nestle white chocolate chips, for example, did not work for me. I read that white chocolate chips, besides not being real chocolate, are made to keep their shape when used in baking and for that reason they don’t melt easily. Maybe it’s safer to buy white chocolate that has cocoa butter in the ingredients. Having said that I have certainly used white chocolate chips that melt fine. Amazing for the first time!